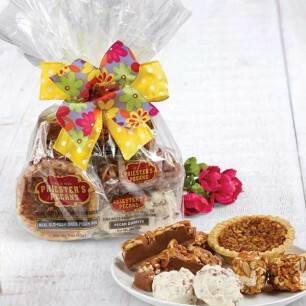 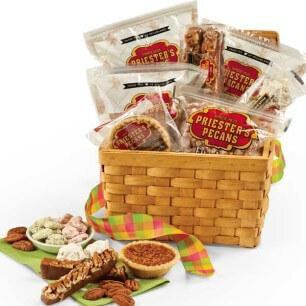 Not only is this gift filled with delicious Priester's goodies it is also packaged absolutely beautifully. 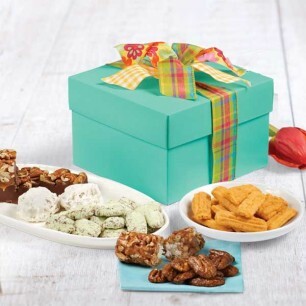 This specially designed gift is the perfect choice for the mothers on your list! 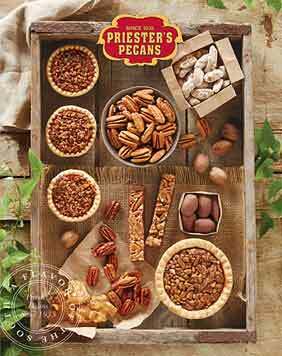 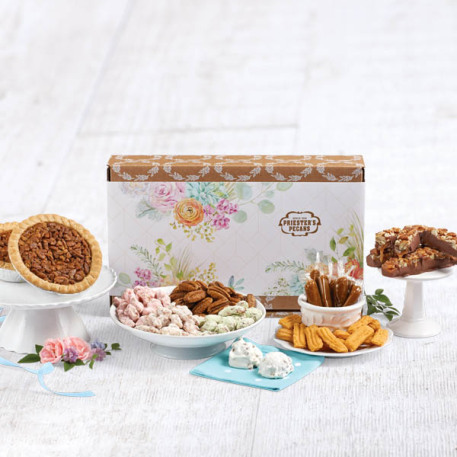 This gift box is filled with two 5" Old-Fashioned Pecan Pies, Fiddlesticks, Divinity, Classic Cheese Straws, Roasted & Salted Pecan Halves, Key Lime Pecans, Peach Pecans, Frosted Pecans, and Fox Point Farm's Peach Caramels, Sea Salt Caramels, and Southern Pecan Caramels.